Plastics have been an intrinsic part of our life. Right from ordinary polythene bags for carrying groceries to encasing of a tech gadget, plastic material is used almost everywhere. A recent survey shows that India is the third largest plastic consumer in the world, with a total consumption of plastics of about four million tons and a resulting waste production of about two million tons. Enforcement of the ban on plastic bags is sometimes questionable, though we can see that cities including Delhi, Mumbai, Karwar, Tirumala, Vasco all have placed a ban on the polythene bag. 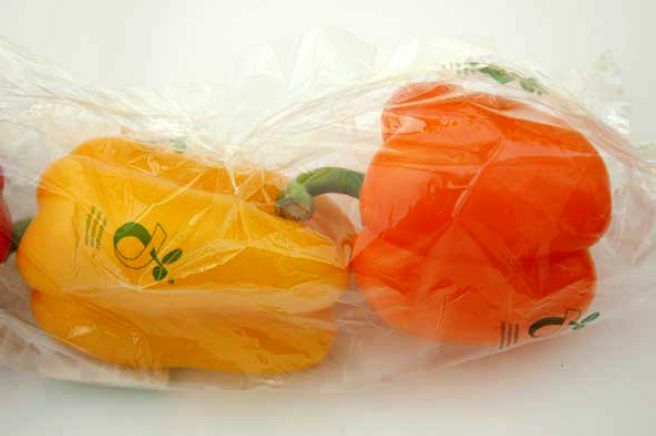 Recently, the use of polythene bags in Srinagar and other parts of the Kashmir Valley has been made a finable offense. Plastic is an organic polymer that has both good and bad influences on our environment, which is why we need to seek a better alternative to it. About 1.27 billion people use and dispose plastics almost every day. The impact of this problem is so large on the environment that a mere “swing of the magic wand’ is not going change things. Fortunately, advanced technology and the increasing need for eco-friendly products, have introduced us to a sustainable remedy, “Bio-Plastic”. Bio-plastics are biodegradable thermoplastic material made from Polylactic Acid polymer, which are very much similar to the regular Polythene material. Bioplastic material can be derived from various raw materials such as vegetable fats and oils, corn starch, pea starch or microbes. Researchers find that Bioplastics can also be generated using microalgae and banana peels. Since these plastics are derived from renewable biomass sources, they degrade faster in the environment and emit low rates of greenhouse gases. They are sustainable as they produce very less carbon dioxide emissions and reduce the consumption of fossil fuels. Although the cost of producing Bioplastics is considerably more expensive than plastics currently, they provide better features and advantages over plastics that are made from petrochemicals. These polymers undergo a compounding process in which their basic properties are modified and enhanced by adding plasticizers and other ingredients. In the final part of the production process, the ready material is molded or blown into various types of finished products as needed. The two industrial processes that are used in this case are: saccharification by using enzymes to produce glucose from starch and molding them into finished products. In India, Bioplastics are still in their nascent stage with very few market players operating in this segment. 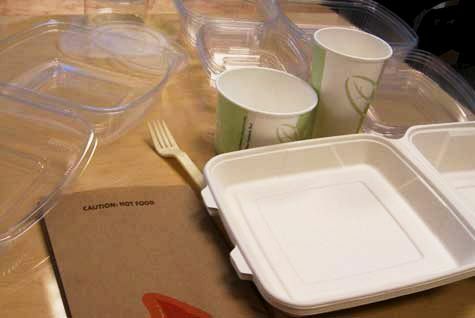 Currently, the Indian Bioplastics market is beset by challenges such as low awareness that are typical to emerging markets, especially the markets dealing with eco-friendly products, but there is a potential for companies wishing to enter this market. On a brighter note, Jammu & Kashmir is the first state in India to have built a dedicated bioplastic product manufacturing facility with an installed capacity of about 960 metric tons per year. The J&K Agro Industries Ltd has started its joint venture with Earthsoul India to launch the country’s first integrated biopolymer facility that can manufacture 100% bio-degradable and compostable products. The facility manufactures flower pots and trays for floriculture, carry bags for shopping, packaging material for foodstuff and meats, bin liners for hotels, etc. Ravi Industries in Maharashtra, Harita NTI Ltd and Biotec Bags in Tamilnadu are also the pioneers in Bio-plastics in India. Apart from Bioplastics, there are other eco-friendly products which serve the same purpose, in the market. Almost all the shops today have replaced fancy plastic bags with jute, paper, cloth and wicker bags. For insulation, plastic can be replaced by cellulose, wood, paper, recycled plastic insulation. Bioplastics are bio-degradable material, derived from renewable and natural feedstocks, that can be composted locally into the soil and also contribute to healthier rural and urban economies. These advantages make it clear why Bioplastics need to be adopted seriously by Indians. It’s up to every individual to bring a change and stop this dangerous ritual of using plastic packaging. With qualitative products with complete certifications – world renowed bioplatics company is from chennai called Ecolife. Please refer http://www.ecolifellc.com for your reference. i am looking for the project report as well as guidance for manufacturing bio plastic. Pl. help. Plz send us the project report and all the necessary reports. I am interested in starting biodegradable plastics. Can you suggest details of consultant and machinery suppliers. I want to start manufacturing bioplastic in India. I need some suggestions and a consultant. Please contact me.